illy Espresso decaffeinato coffee pods are rich and balanced with hints of caramel and still caffeine free. 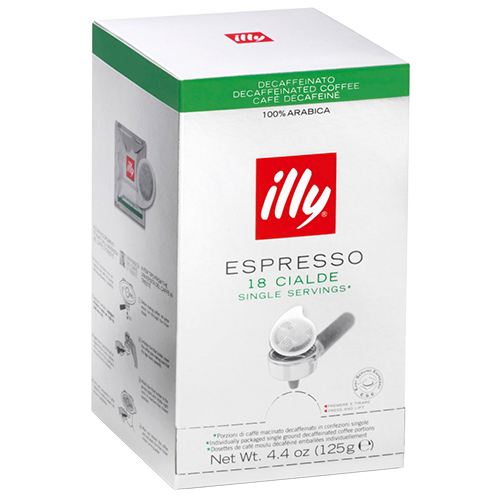 illy Espresso coffee pods gives an authentic Italian espresso with its distinctive blend of fine Arabica coffee with a smooth, rich and mellow flavor created from 100% sustainably grown Arabica beans, meticulously selected from different regions around the world. The result is an authentic Italian coffee that is consistent, soft, balanced and never bitter.